Hulu is taking viewers into the chilling world of acclaimed, best-selling author Stephen King in the new Hulu Original drama series Castle Rock, from J.J. Abrams’ Bad Robot Productions, Warner Bros. Television and executive producers/writers Sam Shaw & Dustin Thomason. Hulu has ordered a 10-episode first season of the on-going series, with production set to begin this year. The teaser trailer for the Castle Rock series has been viewed more than one million times since it was released on Friday, Feb. 17, and you can watch it again below! 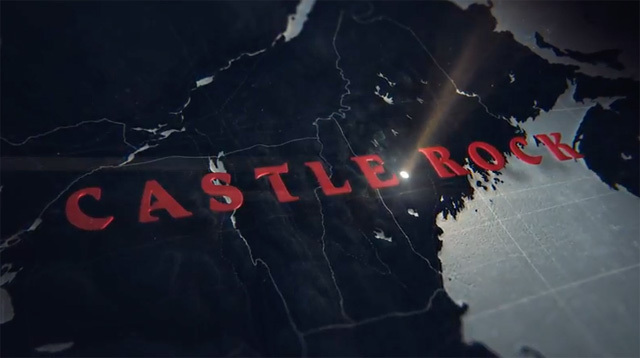 A psychological-horror series set in the Stephen King multiverse, Castle Rock combines the mythological scale and intimate character storytelling of King’s best-loved works, weaving an epic saga of darkness and light, played out on a few square miles of Maine woodland. The fictional Maine town of Castle Rock has figured prominently in King’s literary career: “Cujo,” “The Dark Half,” “IT” and “Needful Things,” as well as novella “The Body” and numerous short stories such as “Rita Hayworth and Shawshank Redemption” are either set there or contain references to Castle Rock. Castle Rock is an original suspense/thriller — a first-of-its-kind reimagining that explores the themes and worlds uniting the entire King canon, while brushing up against some of his most iconic and beloved stories. The Castle Rock series reunites Hulu, King, Bad Robot and Warner Bros. Television, which previously collaborated on event series 11.22.63, based on King’s novel. The series will stream exclusively in the U.S. on Hulu and Warner Bros. Worldwide Television Distribution will distribute globally.